The clock is ticking and the 2019 NFL Draft is almost upon us. We are merely weeks away of the big event and things are just now starting to heat up. With private workouts, Pro Days, and pre-draft visitors getting announced/leaked from teams around the NFL, we're getting a pretty good idea of the players and positions particular teams are targeting. This includes the Dallas Cowboys. This time of year is really exciting because everybody has their opinion as to which player their team should draft and where, including myself. We all have our favorite prospects or "pet cats", but unless you're one of the lucky few to be a part of the Dallas Cowboys scouting department, you are probably just throwing spaghetti against the wall to see what sticks. I know I'm guilty. Today, I'm going to throw a little bit of spaghetti against the wall in the hopes that one of my "pet cats" ends up with the Cowboys come draft day. I decided to choose just one player from each position who I believe would make nice additions to the Dallas Cowboys. The Dallas Cowboys probably aren't in the market for another quarterback behind Dak Prescott, but if they are former North Dakota State QB Easton Stick is an intriguing mid to late round option. He has similar mobility as Prescott, which allows him to make plays both inside and outside the pocket. The Cowboys don't have that kind of mobile QB behind Prescott in Cooper Rush or Mike White, which means the offense would change a little if they had to play. It wouldn't with Stick. There a lot of intriguing running backs in this year's draft class, but Bruce Anderson out of North Dakota State is one of my favorites for the Dallas Cowboys. I think he is a complete three-down back who can be a real weapon in the passing game. He also brings added value on special teams as a kick returner. He could be the lightening to Zeke's thunder. 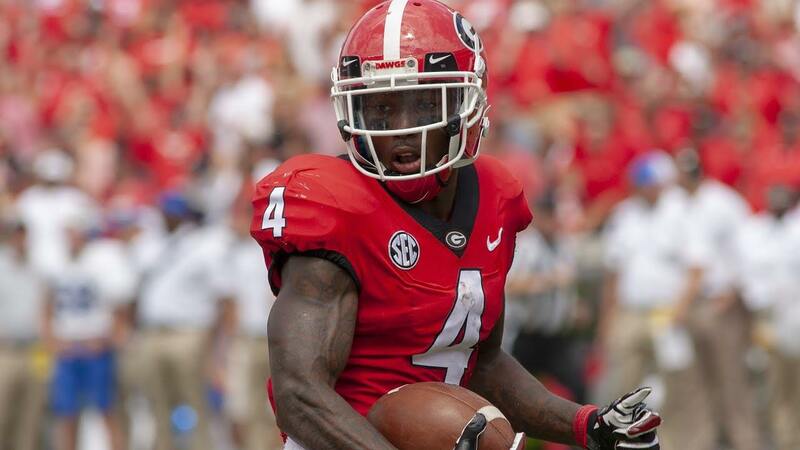 If you have followed any of my previous work then you already know I'm a huge Mecole Hardman fan. He is my favorite WR in the entire 2019 draft class and I love what he would bring to the Dallas Cowboys. He is a deep threat, can play inside or outside WR, kick and punt returner, "gadget" player, gunner on special teams, and could be an emergency cornerback if needed. What's not to like? This is a good year to need a tight end and although there are a lot of intriguing options on Day 1 and Day 2, I really like former LSU TE Foster Moreau as a Day 3 target. On paper he measures up and tests similar to Jason Witten, and he has the same kind of blue-collar mentality. Why not draft a player who could be Witten's clone to become his successor? The Dallas Cowboys are pretty set along the offensive line, but if they're looking for a versatile interior player who can play guard or center than they should look no further than Elgton Jenkins out of Mississippi State. He played every position on their OL, but projects better as interior player in the NFL. He checks all of the boxes to be an early starter in the NFL as a rookie. With Tyron Smith's continued health problems and with La'el Collins in the last year of his contract, the Dallas Cowboys could be in the market for another offensive tackle. If they are, Bobby Evans out of Oklahoma is the guy I like. He played on both the right and left side for the Sooners and could do the same in the NFL. If not for some unfortunate injuries and being buried on the depth chart during his time at Alabama, we'd all be to hearing a lot more about Christian Miller. He was one of the Cowboys 30 pre-draft visitors and someone I think could be a future starter on the right side opposite DeMarcus Lawrence. He has the size, length, and athletic ability they look for in their DEs and the skill set to match. The Dallas Cowboys will definitely add a defensive tackle at some point in the draft, and I'm really hoping that player is Trysten Hill. He is a big bodied DT who has a quick first step that allows him to be disruptive in both the running and passing game. He is another pre-draft visitor and has also worked out for Rod Marinelli. I think he would be a great 3-tech with the Cowboys. With Jaylon Smith, Leighton Vander Esch, Sean Lee, and Joe Thomas the Cowboys have solid group of linebackers, but they'll add a few more bodies to the mix with a draft pick or an undrafted player. If they draft a LB, Drue Tranquill out of Notre Dame is someone I really like. He's somehow still flying under the radar a little, but he is one of the more athletic and productive LBs in the draft class. Let me introduce you to the Washington cornerback not named Byron Murphy…Jordan Miller. He has the size/length Kris Richard looks for in his CBs and excels at playing press man in bump and run coverage. He needs to get in the weight room and had some muscle to his frame before he's ready to contribute, but he wouldn't play right away with the Cowboys anyway. He is a late round developmental project with starting potential in Year 2. If I had to choose one safety I'd love to see drafted by the Dallas Cowboys, it would be Darnell Savage Jr. out of Maryland. He is a converted cornerback who has found his home at safety. He is capable of playing around with the line of scrimmage as a box safety or being that single high free safety in the NFL. He would pair nicely with Xavier Woods and give the Cowboys two interchangeable safeties. John Williams' scouting report on Darnell Savage Jr.
Who are your "pet cats" for the Dallas Cowboys in the 2019 NFL Draft?